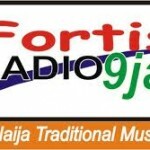 Fortis Radio 9 is an online radio station established for, and dedicated to Nigerians living outside the shores of Nigeria. 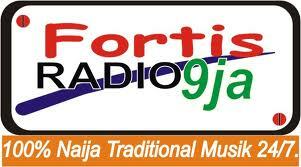 Fortis Radio 9 is broadcasting from Ibadan, Nigeria. This live online radio station is playing various genres of music like Reggae, Hip Hop. Reggae is a music genre that originated in Jamaica in the late 1960s. The term also denotes the modern popular music of Jamaica and its diaspora. While sometimes used in a broad sense to refer to most types of popular Jamaican dance music, the term reggae more properly denotes a particular music style that was strongly influenced by traditional mento and calypso music, as well as American jazz and rhythm and blues, especially the New Orleans R&B practiced by Fats Domino and Allen Toussaint, and evolved out of the earlier genres ska and rocksteady. Reggae usually relates news, social gossip, and political comment. Reggae spread into a commercialized jazz field, being known first as ‘Rudie Blues’, then ‘Ska’, later ‘Blue Beat’, and ‘Rock Steady’.